With Vizit 6.0 comes the ability to write and register custom format converters for Vizit. This article walks you through the process of developing and registering a custom format converter. The rest of this article will explain the details of how to write the specific code for rendering unsupported file formats in Vizit. 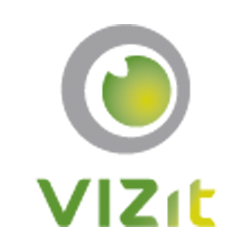 Vizit 6.0 contains a new assembly named Vizit.API.Interfaces. For custom converters, you must implement the IPdfConverter interface which contains two methods and a property. When a document is first loaded in Vizit, it must be in a format that Vizit supports natively. For Word, Excel, PowerPoint and a number of others, Vizit converts these documents into PDF format for more efficient viewing. Subsequently, the PDF frames are converted to PNG for easy display in a web browser without additional plugins. With the addition of the IPdfConverter interface, Vizit now queries every registered IPdfConverter against the target file's extension. The first to respond will be tasked with converting the file to a PDF. This example required Aspose.Imaging. It can be run without a license, but watermarks will be displayed on the frames. The following is an example CanConvertToPdf implementation which returns true if the incoming extension is ".dxf". If your converter generates a searchable PDF, you will be able to use the In-Document Search capabilities in Vizit Essential to search through the document.